You know we all have our kryptonite, mine happens to be fruit cake and I have no one but myself to blame. It's a sad story set one winter in the family kitchen. Finally amassing all the ingredients needed, soaking the fruit and nuts in rum for weeks prior and breaking out the antique recipe discovered hidden in a book, my 12 year old self was going to do this. Sure there had already been encounters with fruit cake, one so dry and crumbly it sucked all moisture from my mouth, the fruit reduced to specks of charcoal and another so gummy and dense it sank to the bottom of my stomach like lead. Still my enthrallment was staunchly undeterred, their recipes had to be bad, this one will be different. It was different alright. Some quickie version which called for saltine cracker meal and came out a weird, sickly beige color. Probably if I hadn't baked it myself things wouldn't have been so bad but the air was so thick with that smell, the room head spinning hot from all that baking, the cake itself very buttery. It all ganged up on me and was so sickening swirled together that I couldn't even bring myself to look at what was left in the loaf pan hours later. Merely glancing at any fruit cake brings it all vividly back. 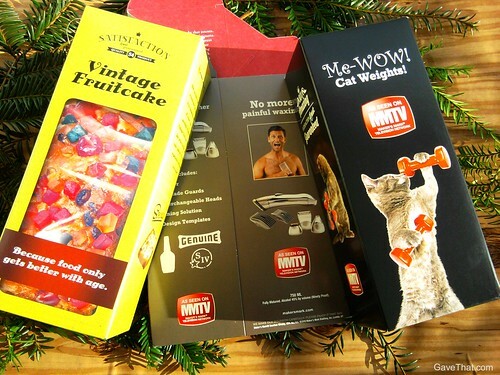 Fast forward to last year when I jokingly wrapped a gift in that fruit cake box above and ended up eating a piece of fruit cake for the first time in a decade. Fruit cake phobics seriously gather around. After being slightly disappointed that a real fruit cake wasn't inside that gag gift box or under the tree my Dad, a lover of fruit cake, recounted the story about how his father would always bring home one during the holidays made by the Claxton bakery in Georgia. Always Claxton, no one else. Intrigued I looked around online and discovered they're still in business (after 104 years!) and still sold during Christmas. 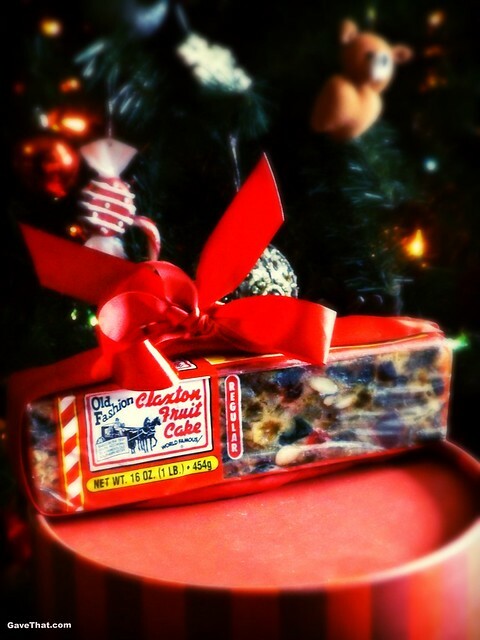 Just about ready to order my Dad beat me to it and bought a little Claxton fruit cake for everyone to try. Taking a tiny sliver, the first thing I noticed was that telltale scent of candied lemon rind and burned booze was absent. Instead it smelled of lovely cake only there really isn't much cake to be found. Filled with almonds, the chunky candied cherries and pineapple, it's more akin to a yummy nut and raisin loaf. One that melts in your mouth with all the decadent Christmas goodness of the world. Not going to lie, it was divine and habit forming. One of these days, as a gingerbread aficionado, I'd love to try their dark version which contains more molasses, spices and rum but that might be too dangerously close to classic English fruit cake for comfort. Never say never, right? Thank you Dad! Find their regular version which I adore here. What side are you on? Have you ever had a Claxton?